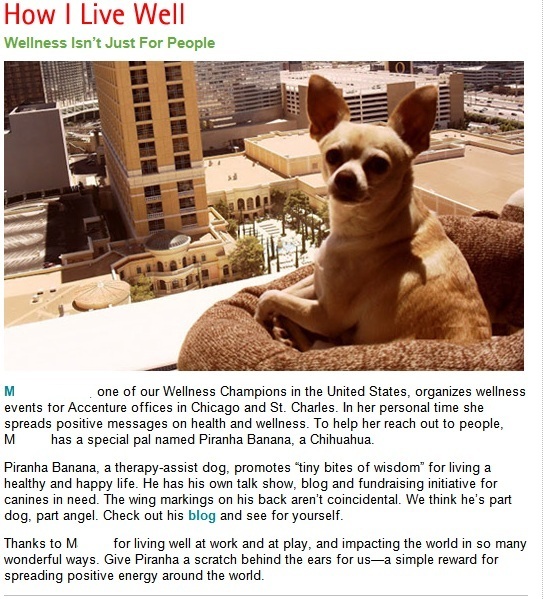 A Day in the Life of Piranha Banana: Wellness Honourable Mention! I was recently mentioned in the wellness newsletter at my Momma's work. Wow. Obviously, there is one tiny error (I don't have a talk show, I have a newspaper column) but no matter - it brings a positive message to people about how dogs can be part of people's wellness! A scratch behind the ear to you Piranha. Have a marvellous Monday.